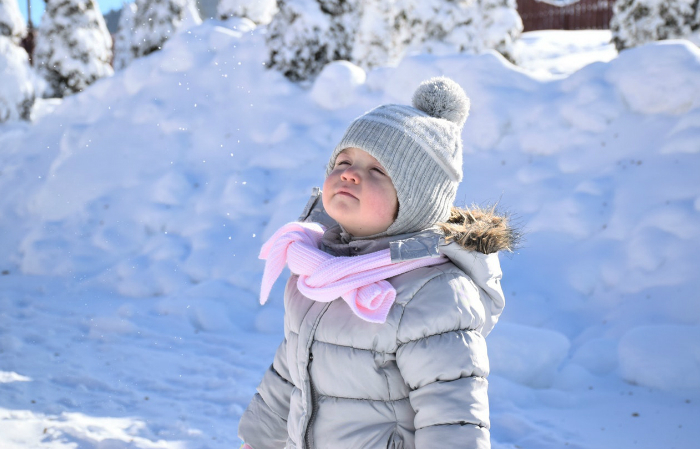 The winter months can be harsh for babies, so make sure your child is covered from head to toe. Compared to the basic items like mittens and socks, cozy hats for infants and toddlers can be hard to find. 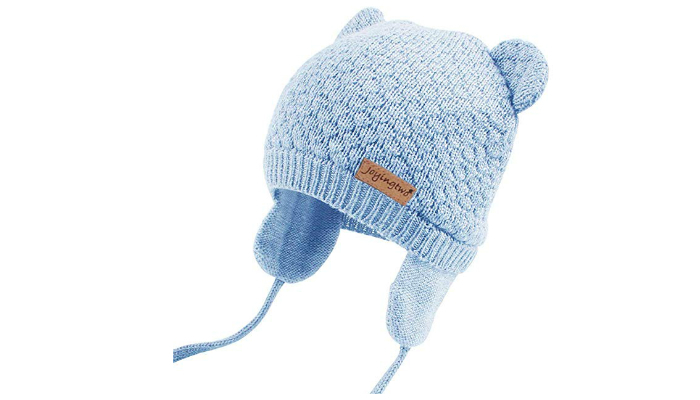 Luckily for you, we’re here to show you the best baby hats for winter. Fleece is a popular fabric for winter clothes, so it’s nice that this product uses it as one of its main materials. Zutano Unisex Baby Fleece Hat is specifically made of 80 percent cotton and 20 percent polyester. In case you’re confused, fleece is actually made from polyester. Even though fleece is already soft on its own, the fact that it’s combined with cotton proves how comfortable this hat is. The result is an even softer fabric. 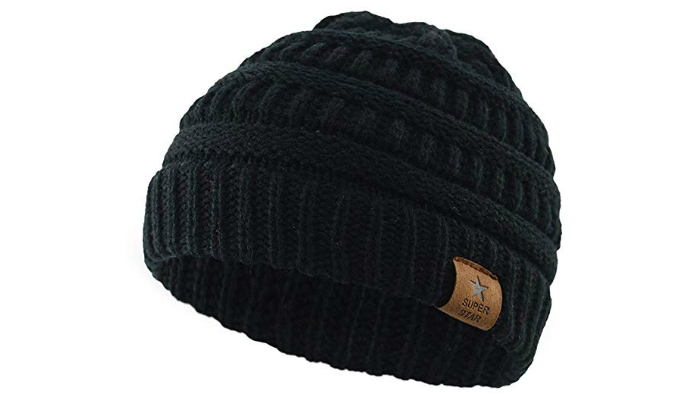 When it comes to fit, this mini winter hat has an interlock trim to ensure warmth without the uncomfortable tightness. That feature will also keep the hat steady on your baby’s head. Meanwhile, cleaning this product is a breeze. Just toss it in the washer. The strong fabric will remain intact. Of course, the design is still an important factor to keep things fun and interesting. The adorable ears are perfect for this hat since the fabric has a plain color. See how in-demand fleece is? REDESS Baby Winter Warm Fleece Hat has a different material for each side. To be more specific, the outer part is made of knitting yarn while the inner fabric is – again- fleece. The combination of knitting yarn and fleece is effective for enhancing warmth. You might think it’s heavy, but it’s really not. The fabric is lightweight enough for breathability. Because of the small size options of this product, it is ideal for newborns. It can even be worn until the baby reaches two years old, thanks to the elastic inside the hat’s band. This hat doesn’t have cute ears and all, but it’s still lovely because of the knitting pattern and the furry texture. And now, we’re back with the ears. Joyingtwo Soft Warm Knit Baby Hat is made of 50 percent cotton and 50 percent acrylic fibers. Meanwhile, its lining consists of pure organic cotton. Since cotton and acrylic don’t have distinct odors, this baby hat has no toxic smell. It is also safe for your child’s delicate skin. As you can see, unlike the first two options, this product has earflaps. Aside from the additional “aww” factor, the earflaps can extend warmth to the lower parts of the head. Speaking of warmth, this winter hat can retain body heat for a long time. That’s the goal, after all. Another option made of fleece with a knitted fabric plus earflaps, Moon Kitty Baby Knit Hat is very soft and warm. If you have older kids, it has a lot of size options for children up to eight years old. That calls for an adorable family portrait because of the matching hats. 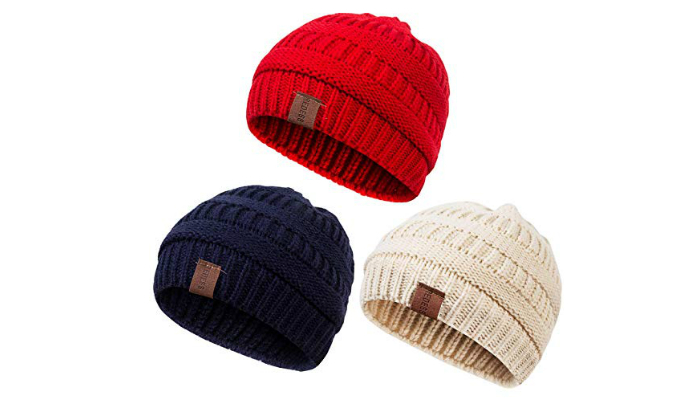 Despite its knitted fabric like what other baby hats have, this product has a more subtle pattern on its material. The highlight instead is the big stars on the upper half. The entire design becomes more stylish. 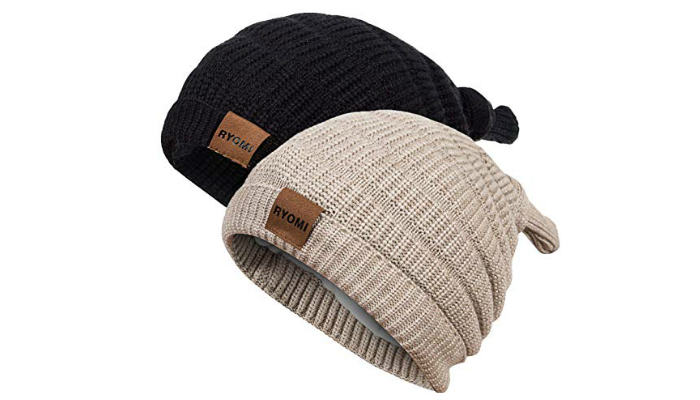 While other options aren’t really specific about the type of fleece they use, RYOMI Baby Beanie Hat uses coral lamb cashmere fleece for the inner section. Obviously, the outer part is knitting yarn, just like the previous products. The top knot is a nice touch to make the hat look more youthful without extra colors, patterns, and fluffy ears. This design is perfect for parents who prefer to keep it simple for their babies. If you’re more particular about simplicity, versatility, and affordability, Durio Soft Warm Knitted Baby Hat is an excellent choice. It is the cheapest one here, but its durable, stretchy fabric can fit most babies until they reach their toddler years. Because of its simple design, this hat can complement any outfit. Your baby may wear it in casual days as well as special gatherings or parties. Of course, size matters when you buy a winter hat for your baby. Too tight, and it will be unbearable for the child. Meanwhile, a loose hat might cover your baby’s face, which can be fatal. However, make sure that the hat is stretchy as well. Babies grow up fast, so parents need to buy hats that will be useful for at least a couple of years. This is a crucial factor. Babies should only wear winter hats that are soft, thick, and breathable. Softness is important to prevent skin irritation. Fabrics that can guarantee this factor include cotton and fleece. No wonder most baby hats have these materials. A winter hat should be thick, too. This ensures warmth. However, it shouldn’t feel too heavy for the skin. The products we’ve introduced are all adorable, don’t you agree? And, the best part, they have different styles. Some options are simple, but their fluffiness makes them cute. Meanwhile, other baby hats have extras like fluffy ears, patterns, and earflaps. As a plus, earflaps can be beneficial, too. They can function as earmuffs because they’re usually thick and big enough to totally cover the ears. Even hats with knitted fabric have a purpose. They’re charming, sure, but what makes them better is how breathable they are. The tiny gaps promote airflow to keep the baby relaxed. The best baby hats for winter are stretchy, comfortable, and attractive. 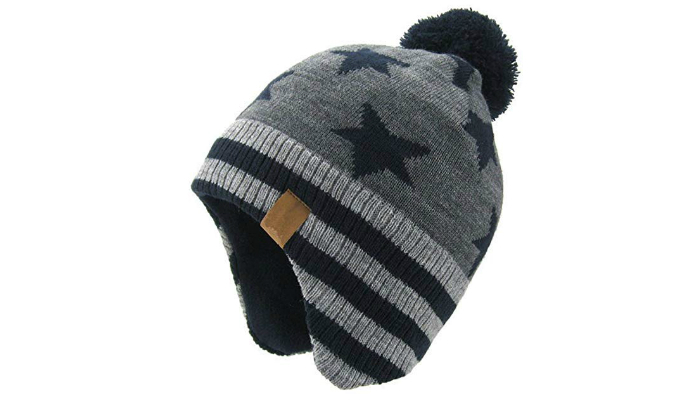 Considering these three factors, we ultimately selected Zutano Unisex Baby Fleece Hat. 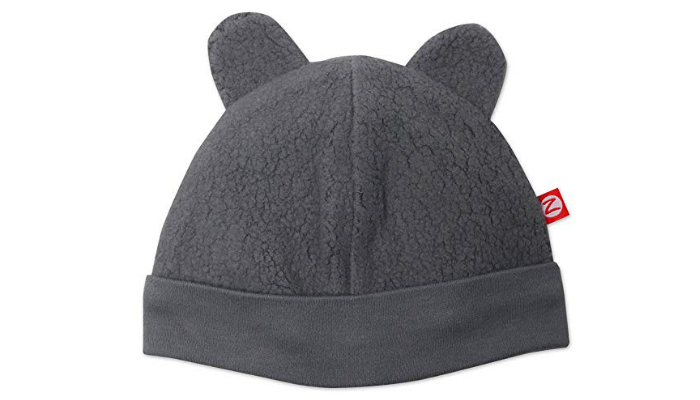 It has a nice fit, super-soft fabric, and adorable fluffy ears. While the hat covers the baby’s head, what can a child wear to keep his body warm? Check out the best baby blankets for all seasons. Meanwhile, for newborns, swaddle wraps are ideal. However, you should be aware of how long to swaddle your baby every day. You also need to stay warm so you can take care of your baby properly. Learn how to layer for winter.